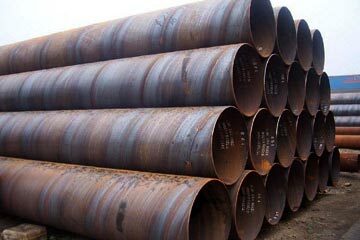 In order to fulfill varied demands of the buyers, we come up with Spiral Welded Pipes of different sizes, grades and specifications. We are listed among the top Manufacturers, Exporters and Suppliers of Spiral Welded Pipes. Some of the attributes that describe our Spiral Welded Pipes are durability, dimensional accuracy and corrosion resistance. One can place retail as well as bulk orders for Spiral Welded Pipes with us.